On this special edition of Hank Unplugged, Hank brings you a message that he delivered for the “Lausanne-Orthodox Initiative,” a conference uniting Orthodox and evangelical Christians to support one another with mutual respect and cooperation in the spirit of our Lord’s High Priestly prayer for His church, found in John 17. Hank discusses discipleship, deification, and the doctrine of unity. The doctrine of unity addresses the scandalous tribalism and division amongst Christians and the ... See More importance of honoring the earnestness of the Lord’s High Priestly prayer and the criticality of Christians being united around the essentials of the historic Christian faith. 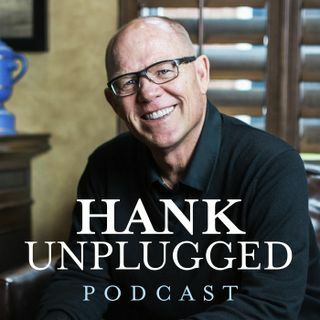 Topics discussed include: Hank introduces his message and the importance of the doctrine of unity (1:30); the Great Commission (4:40); discipleship and the power of spiritual multiplication (10:20); understanding deification and union with God (14:20); experiencing uncreated energy (17:00); embracing the doctrine of unity around the essentials of the historic Christian faith (20:20); discussing the effects of schism and division from a personal perspective (23:25); are we willing to give up our tribalism in order to answer the Lord’s High Priestly prayer? (24:45); the consequence of disunity within the church (28:30); the unlimited power of fusion (30:55); and a call to action (34:25).